Members of the UC Student-Workers Union, or UAW Local 2865, protested Thursday in Riverside outside the UCPath office in response to the new UCPath payroll system, which is being implemented throughout the UC system to facilitate the payment of UC employee salaries. Agreements reached include a 3 percent annual wage increase, a one-time payment of $100 for every eligible employee, an increased childcare subsidy, a partial campus fee waiver and the establishment of a joint labor-management committee on sexual harassment issues and training. UAW Local 2865 touched on a range of topics in public comment, from difficulties faced by graduate students of color to the protection of sexual violence survivors on UC campuses. Demonstrators converged on Upper Sproul Plaza and marched to the Residential and Student Service Programs, or RSSP, office Thursday to protest rent increases and demand that UC officials freeze housing fees. During the session, UAW Local 2865 made several demands, including that the university provide a plan for affordable housing, establish sanctuary campuses, put an end to police brutality on UC campuses and expand support for student families. 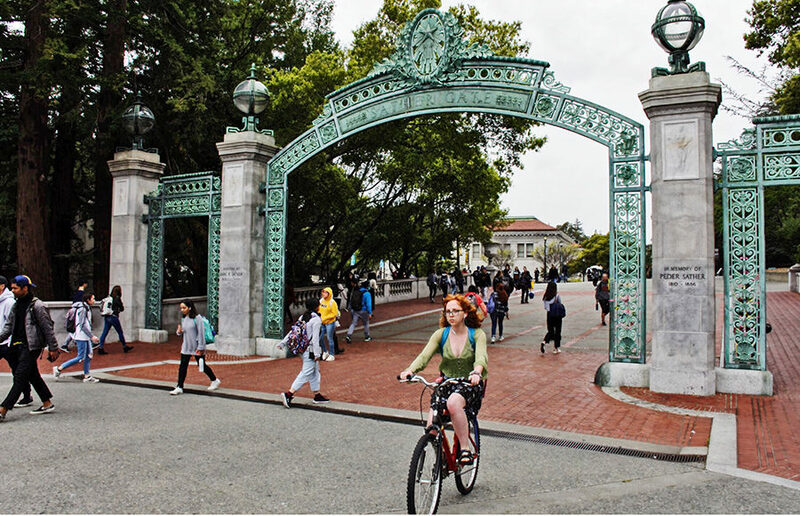 The UC Student-Workers Union, or UAW Local 2865, began negotiations for a new employment contract with representatives from the UC Office of the President, or UCOP, at the union’s statewide office in Berkeley on Wednesday.